The channel industry is a b2b landscape engulfed with opportunity and the risk of failure. A corporate ecosystem that is complex and crowded, but also bursting with the potential to accelerate business productivity and revenue. Given this, it’s imperative that manufacturers, vendors, and VARs that decide to enter the indirect sales funnel do so with a carefully designed, robust channel incentive strategy in place—because, without preparation, you’re destined to nose dive. 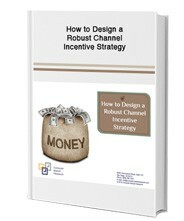 Receive a Free white-paper on “How to Design a Robust Channel Incentive Strategy” by filling out the form on the right.